Bisket Basket News: Our Mobile Site is Now Live! With the holidays coming up, shopping for loved ones has just become as easy as unlocking your Smartphone with our brand new mobile site! We’re so excited to share it with you and have you shop our holiday gift baskets on the go! Find out how you can shop with us just about anywhere on your Smartphone or Tablet with our new mobile site! We’re so excited about our mobile site that not only do we want you to take a look at it; we want to thank you as well! When you’re shopping in our store on your tablet or Smartphone, we have a surprise for you if you checkout. 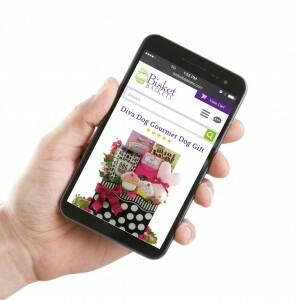 I guess you’ll just have to go see what the fuss is about today with our new mobile website at BisketBaskets.com!